Luxurious and indulgent, make them feel the difference in their morning ritual by gifting them this gift set. All accoutrements are carefully curated to augment goodness and warmth in the life of your loved ones. 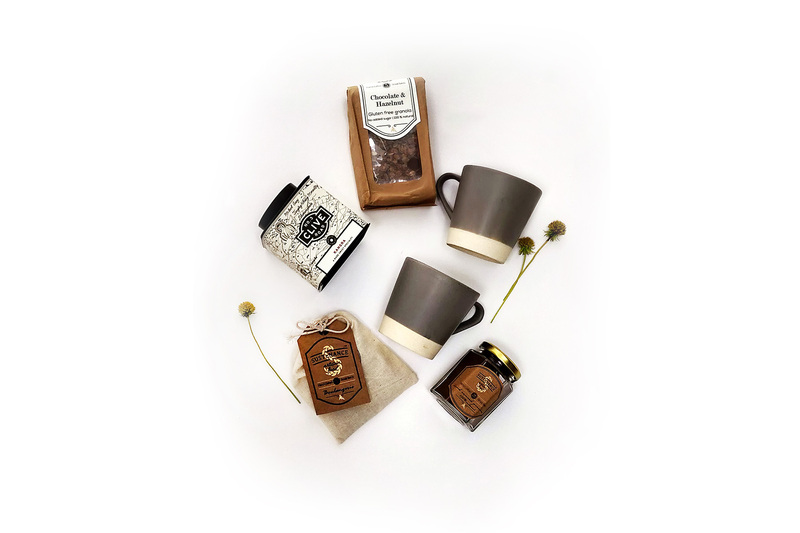 Chocolate Hazelnut Granola 300g, Gingerbread Biscotti, Hot Chocolate Mix 200g, Kangra Tea 100g, Basik Coffee Mug (Set of 2), Gift Box.